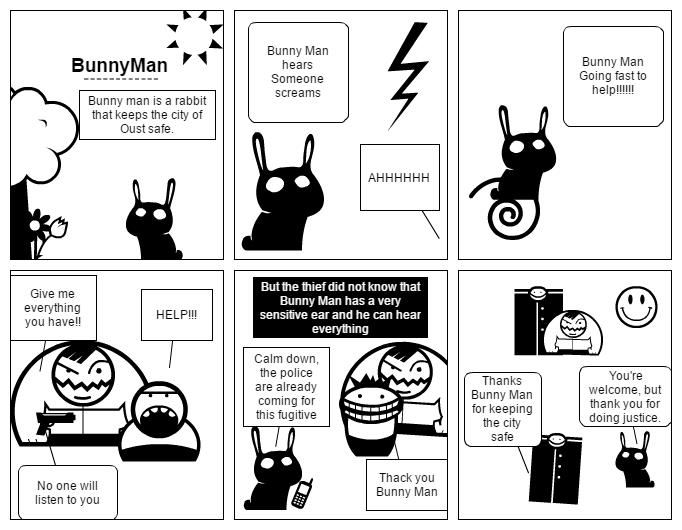 Bunny man is a rabbit that keeps the city of Oust safe. Bunny Man Going fast to help!!!!!! Give me everything you have!! You're welcome, but thank you for doing justice.